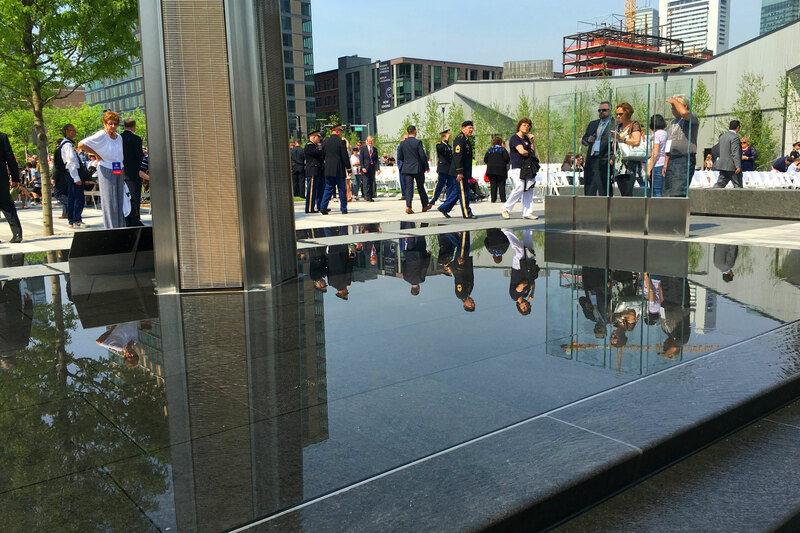 The first water feature at the Massachusetts Fallen Heros Memorial is a large stair-step fountain. 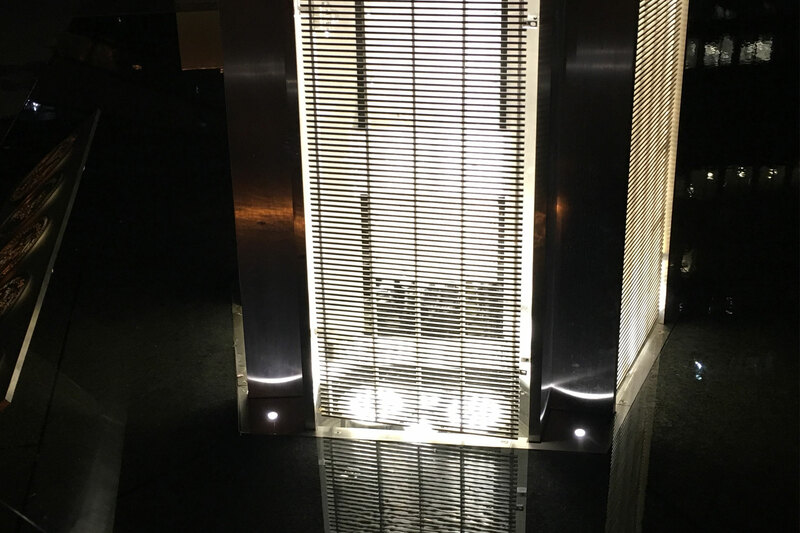 The water features provided a reflective surface for the lights within the tower. Delta Fountains also provided the lighting within the Memorial tower. 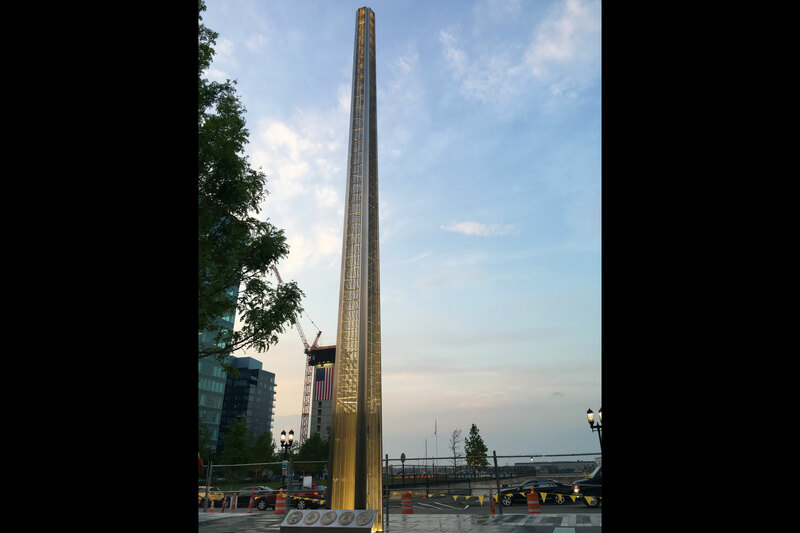 The Massachusetts Fallen Heroes Memorial sits near Boston Harbor as a tribute to those who lost their lives in Afghanistan and Iraq. The memorial was designed by sculptor and architect, James Carpenter. 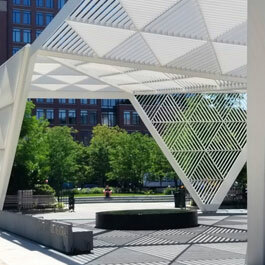 The five-sided, 50-foot diaphanous column was designed to represent the five branches of Service. It sits above a granite reflecting pool that trickles out and over a stair-step pathway to disappear beneath the visitor’s feet. 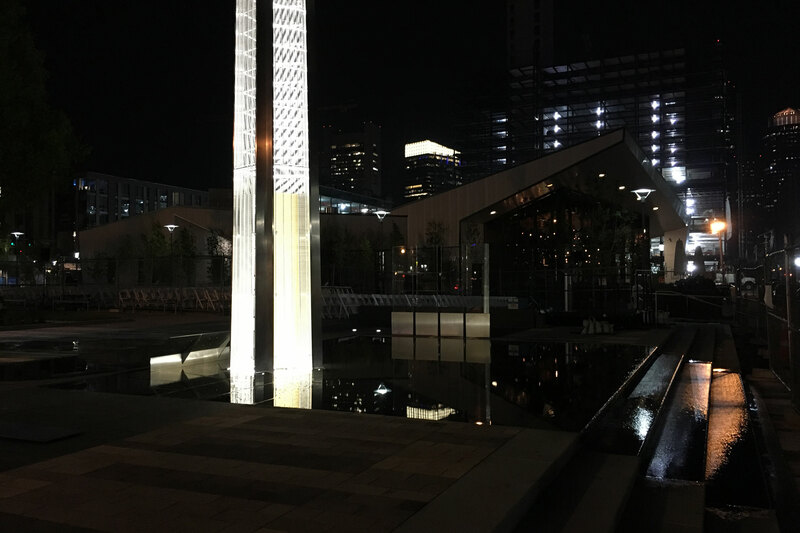 The column’s metallic outside structure reflects the waters’ changing lights during the day. White LED lights within the Memorial’s column illuminates it at night. Its glow can be seen from vantage points around Boston’s downtown and from the Harbor. The Memorial Grove surrounding the column was planted to draw attention to the veterans who still suffer from the “invisible wounds of war,” as they cope with PTSD. A second water feature within the Memorial grounds welcomes children and adults the Park. 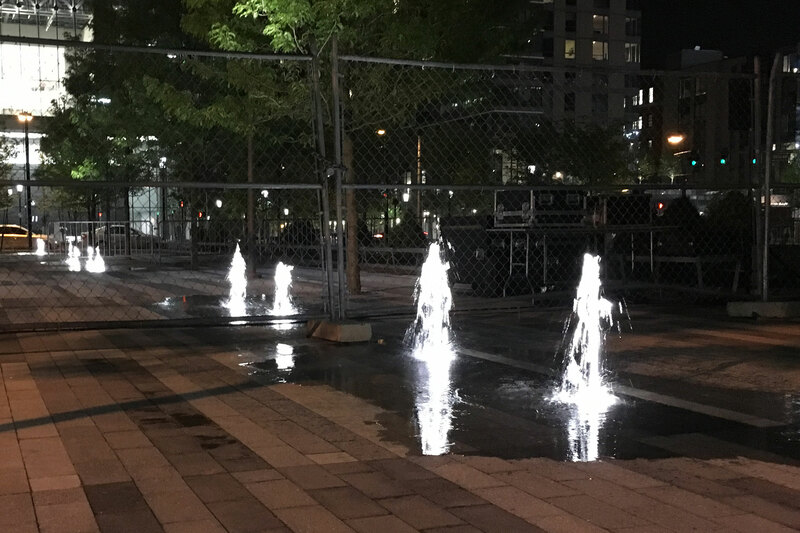 Interactive water and light sprays dot the pavement leading to the memorial. It’s with these details that the Massachusetts Fallen Heroes organization strives to inspire remembrance throughout Boston and to celebrate life and hope. 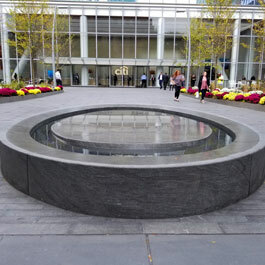 Delta Fountains worked closely with the Park and Memorial designers to design, specify and provide the equipment for the reflecting pool and interactive water feature. 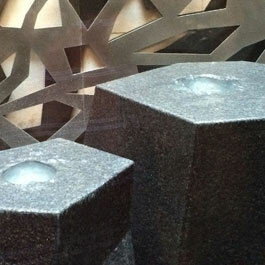 We were also engaged to assist with the design of the Monument lighting and controls. 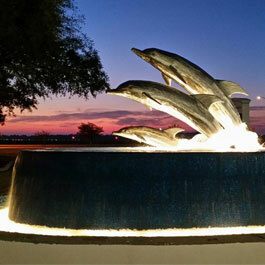 The interactive fountain includes 10 flush-mounted White LED Ring Lights with deck jets. The ring lights provide for 360-degree illumination around the nozzle display. 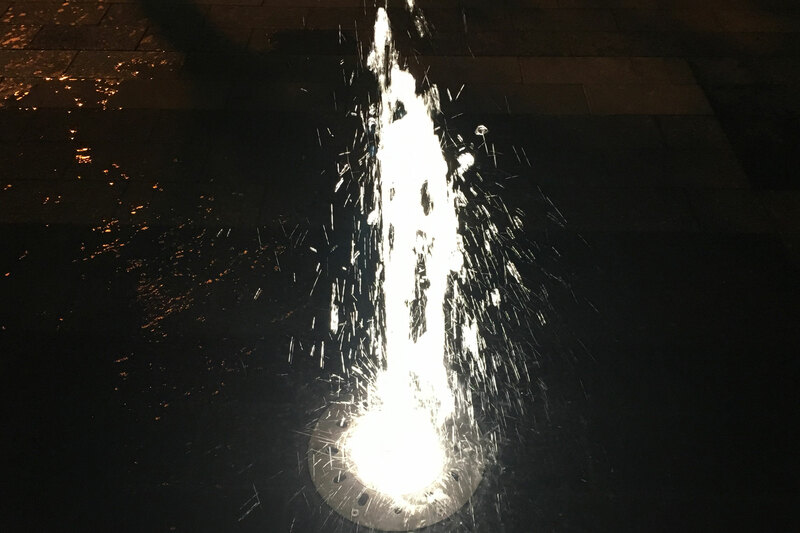 This style of light and nozzle combination allows visitors to safely walk or play in the fountain. 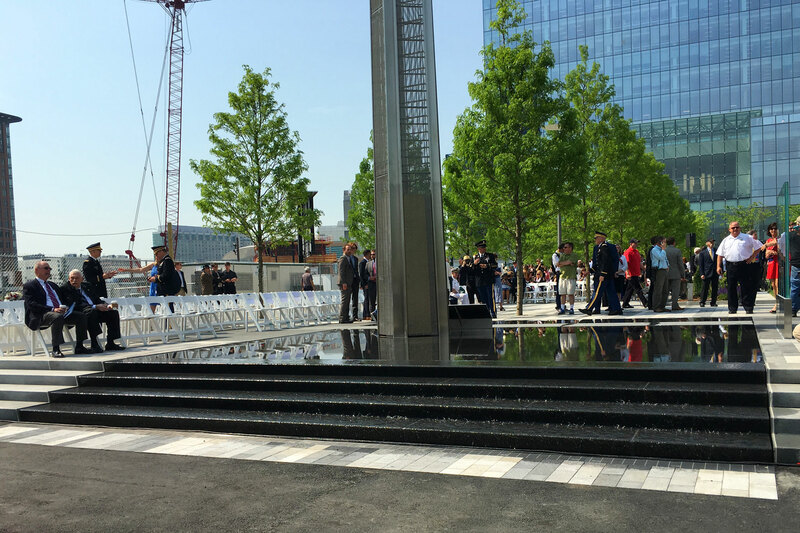 The team also provided an intricate water sanitation system, complete with UV sterilizers; ORP pH monitoring controllers; and filtration systems to preserve the health and safety of all who come in contact with the Memorial’s water features.